8-7-2015: Semi Auto MP38 and MP40 for sale at Waffen Niedermeier in Munich! 28-06-2015: Very nice collection of MP38's and MP40's of Kevin Wheatcroft. Look at the 3th picture from above. 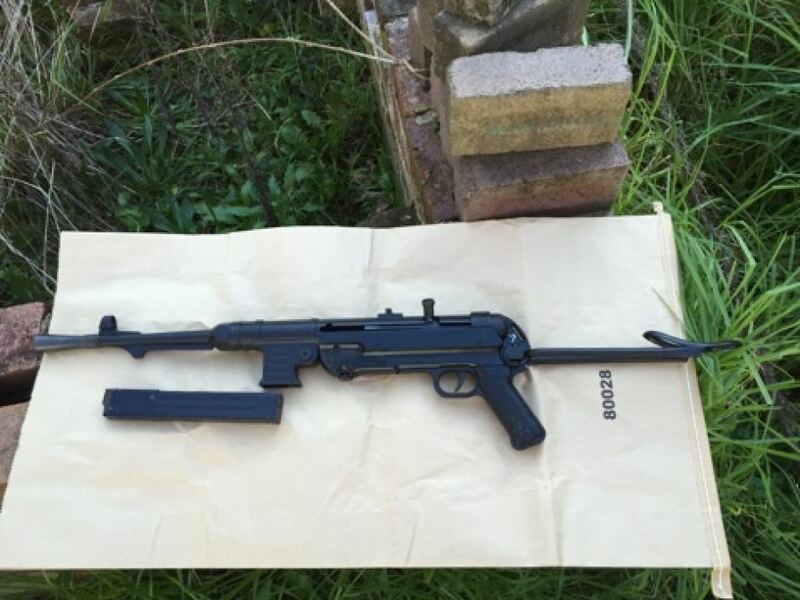 22-3-2015: Interesting "cross over" Steyr produced MP40. It features the specifics of a late Steyr produced MP40 like the red bakelit fore grip and the 2 sided barrel nut but it still has the earlier grip without rim (not the integrated Steyr grip). This type can be considered as rare. Aproximately 13000 have been produced.